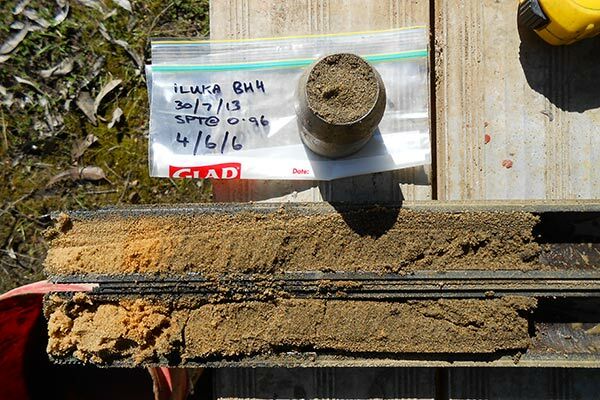 WML was engaged by Iluka Resources to undertake a geotechnical investigation of 4 possible shed locations to determine if they are suitable for use and what implications there may be. There are plans to import coal from Indonesia and need a storage area to unload the ships in a short time period. The shed’s planned footprint is to be 80m by 240m and to stockpile approximately 6-7m of coal. The proposed locations were on top of a tailings dam, disused solar drying dams and a backfilled mining pit. WML undertook the investigation with 32 test pits to 2.5-4.5m, 12 CPTS to 10-15m, 8 rotary drilled boreholes to 6m and 5 hand-augers to 3m. 10 test pits were also excavated on the haul road using a jackhammer to investigate the sub-grade for plans to seal the surface. 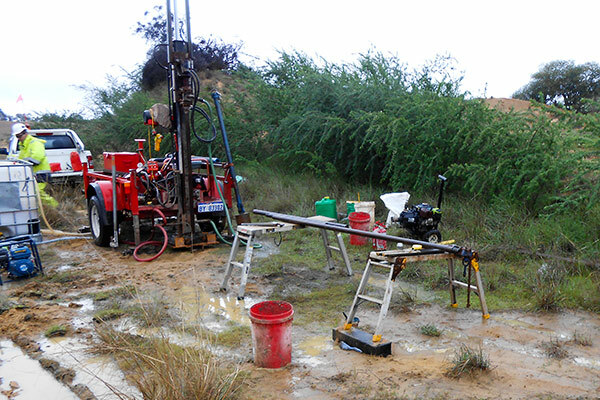 Subsurface conditions at the site generally comprise up to 3m of variably loose to dense granular fill with localised areas of soft clay slimes remaining from former solar drying dams onsite. In the NAE4 dam area and the old solar drying dam area, this is underlain by a thin layer of soft to stiff alluvial clay, typically 0.3m thick then loose becoming medium dense and dense to at least 10m depth. Beneath the former mine pit and inert waste dump to the west of the biofilter, no soft clay alluvium was present. The sand backfill within the former pit area is particularly loose with depth. The former solar drying dams to the south of the NAE dam contain very soft, black, silt-sized inert waste to a depth of round 1.8m.